Toronto Illusionist, Aaron Paterson stars in Chrysler Commercial. Aaron Paterson was chosen from among many prominent Canadian Magicians to star in, and act as Toronto magic consultant for, Chrysler's 15th anniversary minivan commercial. 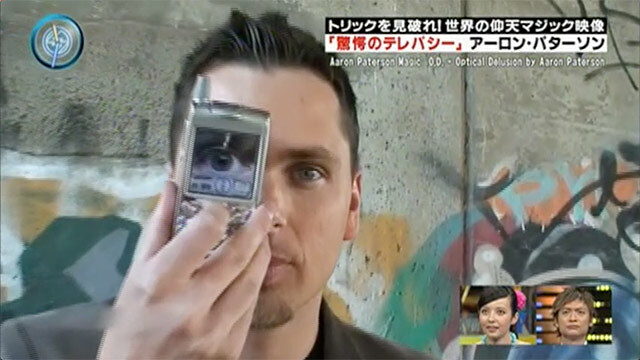 Aaron Paterson Appears on National Television in Japan for an Audience of 25 Million and up. Aaron was selected to appear on the popular SmaStation on National Television in Japan with a viewership of 25 million or more. He was featured among other illusionists hand-picked from all over the world and was the only Canadian chosen to appear. He performed one of his many illusionary creations, Optical Delusion which arguably started the craze of smart phone magic everywhere. US Television Network, True TV's, The Carbanaro Effect recently purchased one of Aaron Paterson's levitation creations and built a segment around it. Watch above to see one of Aaron's many illusionary creations presented by the talented Michael Carbanaro. Sears recruited Aaron for his manual dexterity and to act as magic consultant for the commercial promoting their paint department. Aaron Paterson's Illusionary Levitation Creation, Icarus Effect appears on CNN. See the video HERE! 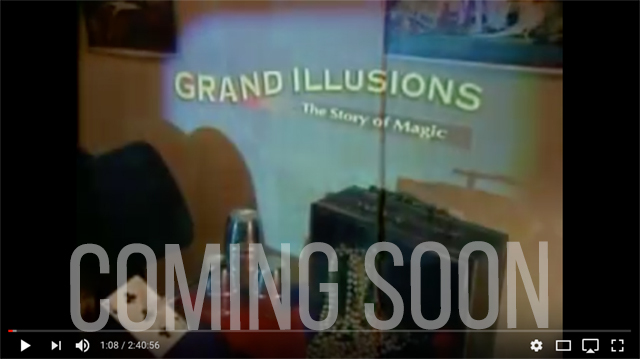 Watch as Aaron Paterson appears in the televised version of Grand Illusions on Discovery Channel, appearing among famous Illusionists, Siegrfired and Roy, Lance Burton and Penn and Teller.